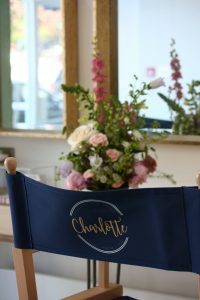 A few months ago the lovely Charlotte from Charlotte Ware Designs found my floral designs on Instagram and invited me to take part in her Royal Wedding weekend extravaganza. What an incredible privilege! 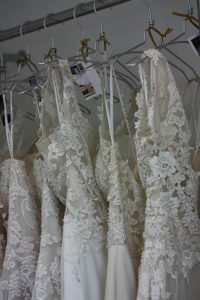 Charlotte has created the most incredible space for brides to get all their needs under one roof. Hair and make up, stunning bridal gowns and if you want to do it yourself, she’ll even teach you all the skills you need to look fabulous on your big day. 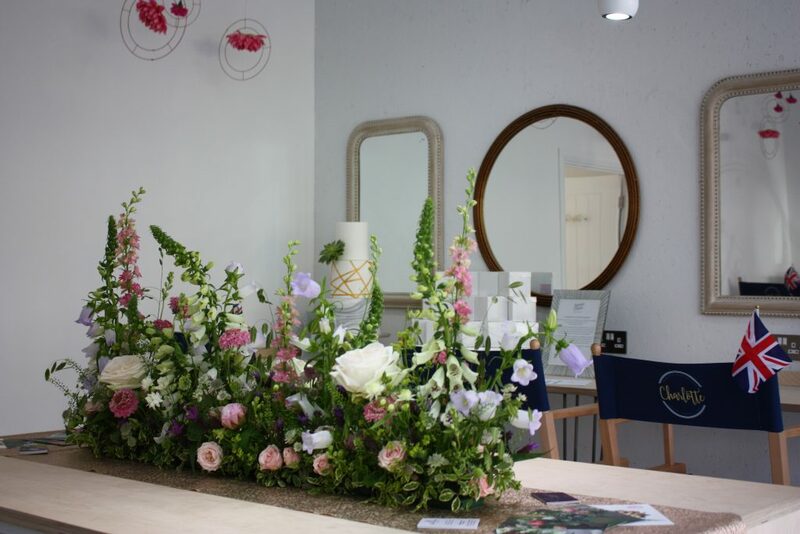 I was blown away by the gorgeous creative space she has designed, from the mirrors lining the walls of the hair and make up suite, to the simply divine wedding dress studio, she is one talented lady! She has worked her socks off to create the perfect environment for you to enjoy all your wedding preparations. 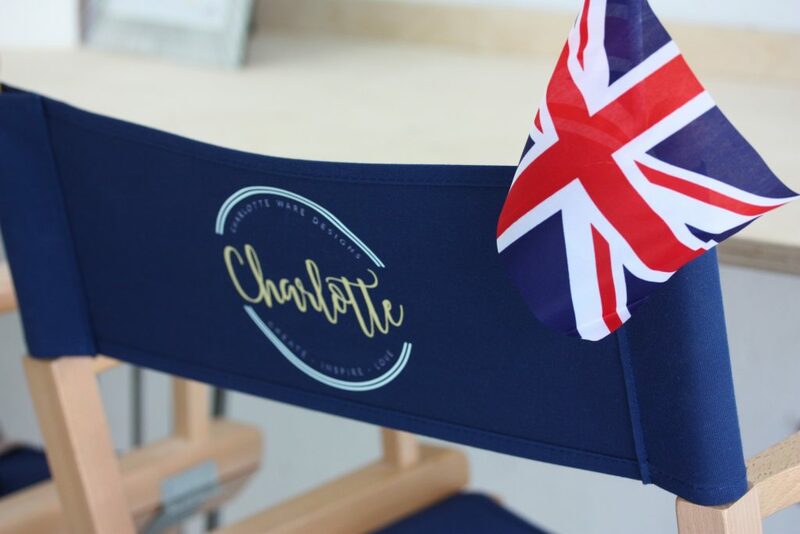 I really wanted my floral designs to reflect not only the Royal Wedding, but the incredible aesthetic created by Charlotte. I decided to use what had been widely claimed to be Meghan’s favourites as a starting point.. white Garden Roses, Peonies and Foxgloves. The centrepiece was a 3 foot long floral meadow table runner, that sat front and centre in the middle of the studio. 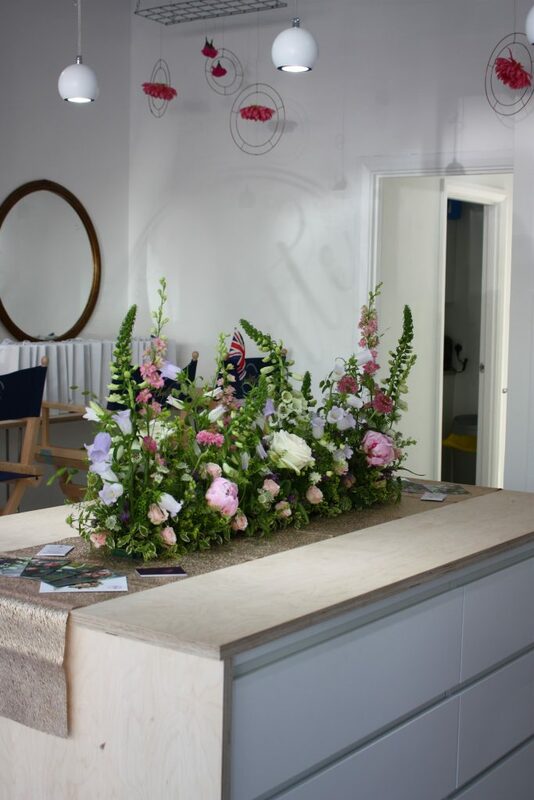 I wanted to bring the outdoors in, with the flowers designed to look just like they had been lifted out of the garden.. natural, romantic and relaxed. 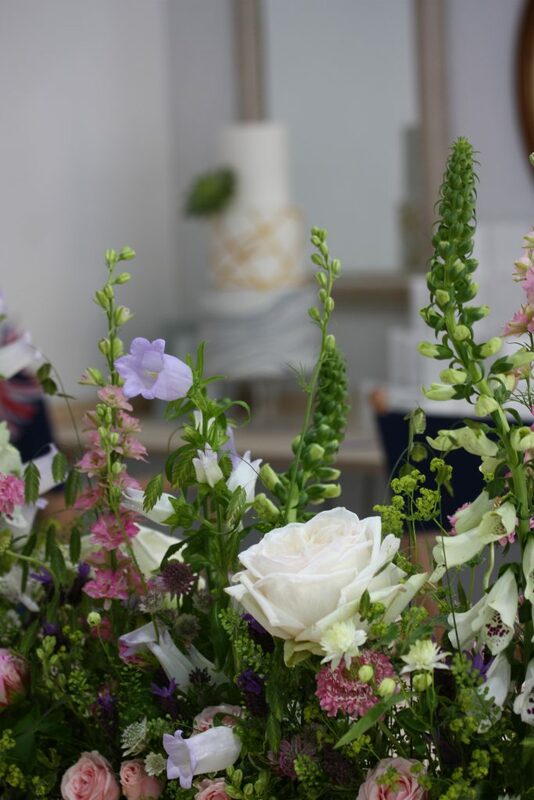 I also created 2 additional designs, the first a more traditional urn full of Delphinium Larkspur, Astrantia, Scabious, Alchemilla, Grasses and Spray Roses. The scent was sumptuous! 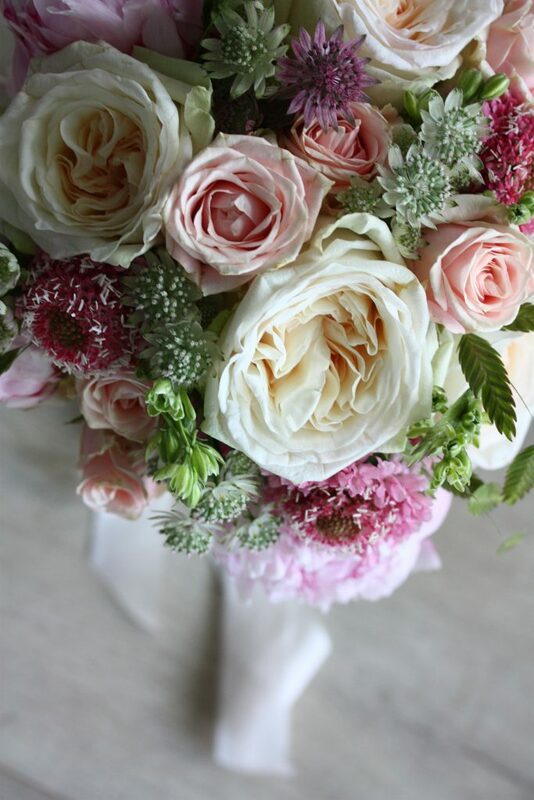 The second, a gorgeously scented bridal bouquet brimming with Garden Roses and Peony, all ready for the brides to use as they tried on their dresses. And then there were the cakes from Claire at Sparkles and Swirls. This lady can bake!! 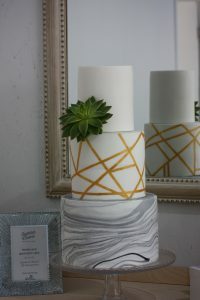 Her cakes tasted delicious and looked incredible. 2 huge showstoppers and individual cupcakes for the brides to take home. One even featured a Succulent as decoration. It was an absolute honour to take part in such a wonderful weekend and I am so excited to have met two fantastic people in Charlotte and Claire. 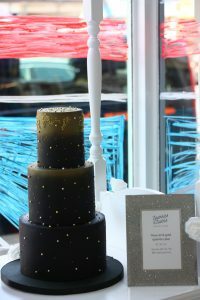 If you are looking for hair, make up, a wedding dress or a celebration cake, then please, go and check them out, you couldn’t find two nicer, more creative people!